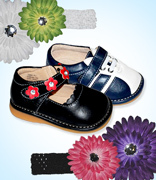 Hide & Squeak Shoes 40% off! You are here: Home / online shopping / Hide & Squeak Shoes 40% off! 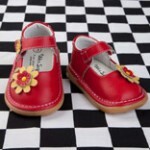 Totsy is having a sale on Hide & Squeak Shoes! 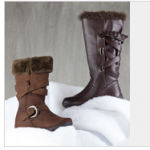 You can get them for just $21.50 per pair, which is 40% off the regular retail price of $34.95! These are great for new walkers or little ones who are just learning to walk! 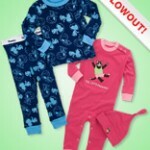 These always sell out quickly when this sale comes along, so hurry and check it out! You’ll get FREE SHIPPING if this is your first order! I’ve got even more great news for you! You can also save $15 off a purchase of $60 or more with the code VIPMOM. Please note: From what I understand, you can no longer combine free shipping on your first purchase with the other codes. Moo Shu Trainers Footwear as low as $12.82!